There have been 272 AW’s. I have never felt the need create an addendum, a Part II, to an Auction Watch. Any worthwhile listings that were missed simply went into the Epilogue. It worked just fine. 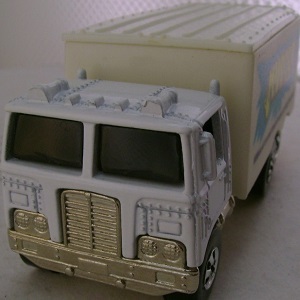 In fact, a HiWay Hauler that wasn’t in an AW was put into an Epilogue. Of course, it had a $9,995 BIN so it didn’t seem too time sensitive or too likely to sell. Then Bill Raeth emailed me. He asked if I had seen the star of History 400 listed on eBay. I had not. 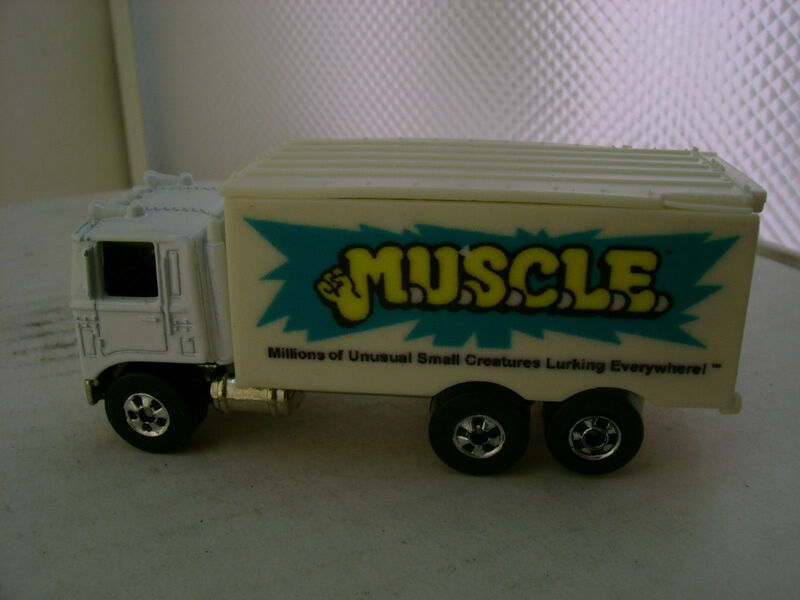 The listing, HOT WHEELS M.U.S.C.L.E MILLIONS OF UNUSUAL SMALL CREATURES HIWAY HAULER MINT, deserves to be the first “Part II” to an Auction Watch. 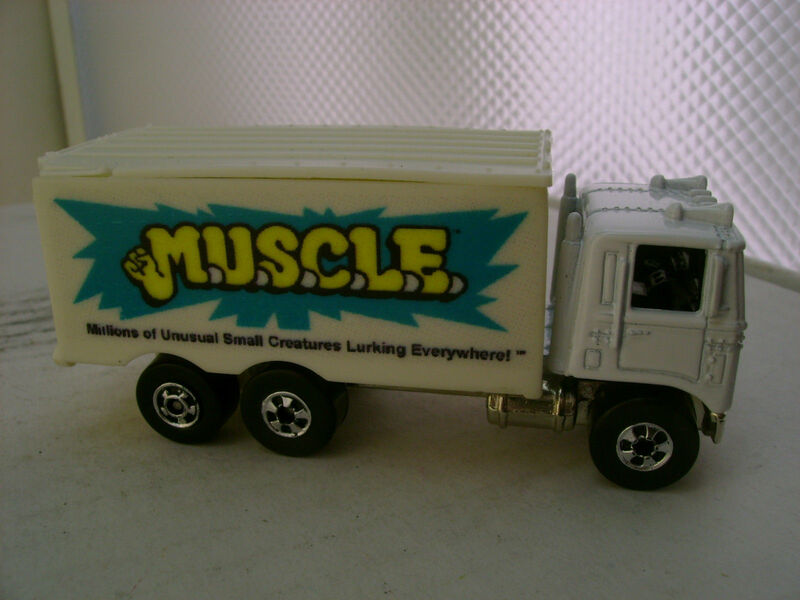 The worthiness is rooted in the listing starting at $9.99 and it being an auction – plus I love the M.U.S.C.L.E. 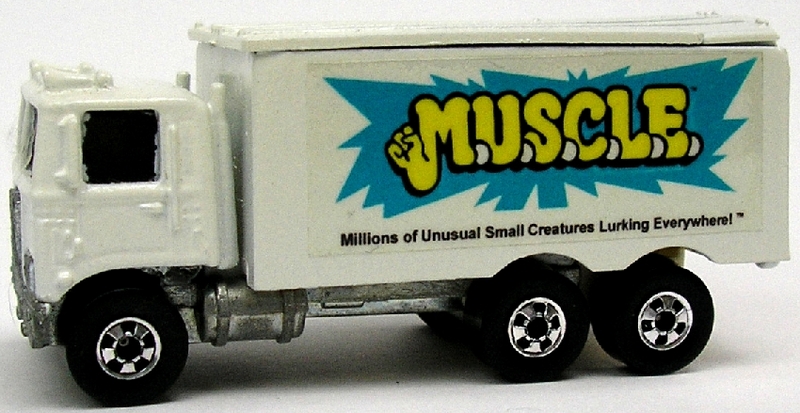 Hauler. After my initial surprise subsided I started pouring over the pictures. Could it be a sticker? Or is it the real deal? 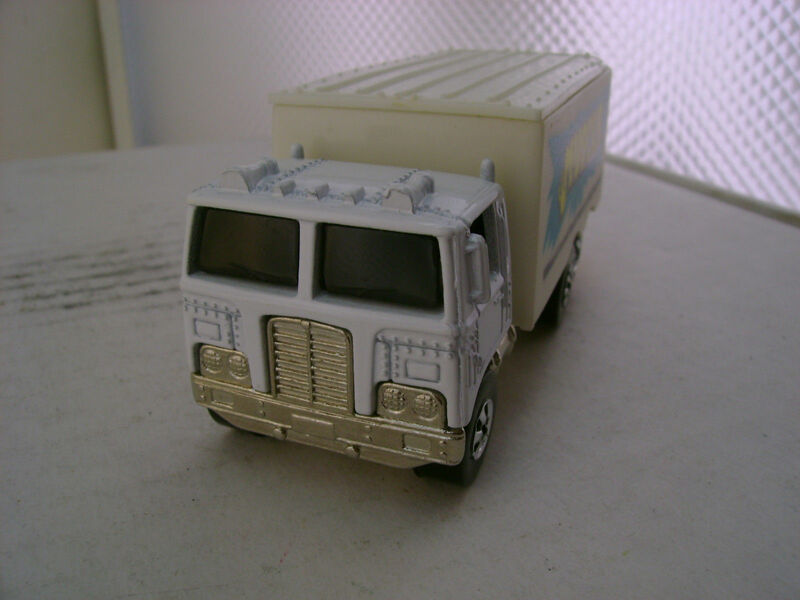 My conclusion is that it is 100% real – or a 100% more impressive custom than mine. But if I had to bet, then I would put all my money on real. If it is real, then what are we looking at for a final price? 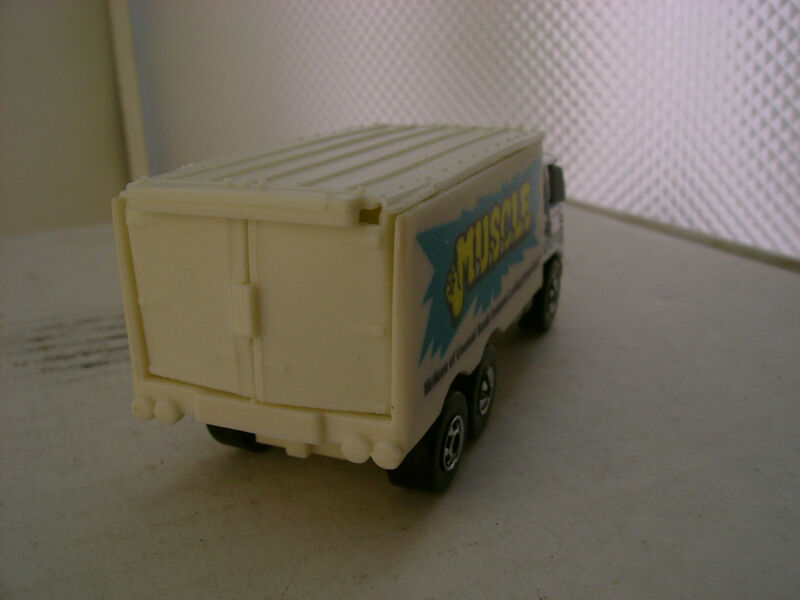 I have often said Haulers are more likely to end up in the collections of Hot Wheels collectors. There are simply more of them. The likelihood of one of them being willing to outspend is greater. 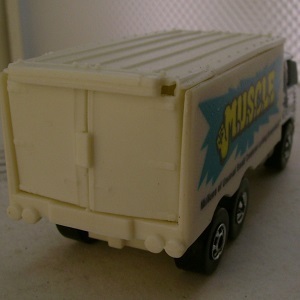 Since I don’t know Hot Wheels prices it is really tough to feel confident speculating. 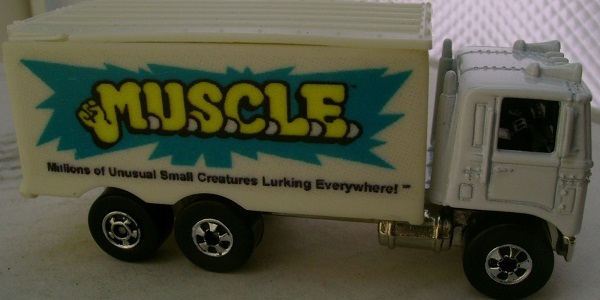 The number I have always heard, from Hot Wheels collectors, is that there are a “handful” of M.U.S.C.L.E. 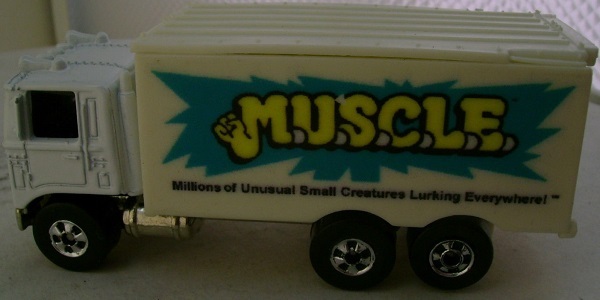 Haulers – probably 5~6 of them. I’m starting to think that number might be higher given the number of appearances the Hauler has made on this website. That seems more likely to me, then the same 5~6 Haulers changing hands so many times over 10 years. UPDATE: Good thing I don’t usually bet. As I was writing I emailed the seller. Here is the disappointing answer I received. Looks like it is a better custom than mine. This entry was posted on Wednesday, November 28th, 2018 and is filed under Auction Watch, History, Research, UofM News. You can follow any responses to this entry through RSS 2.0. You can skip to the end and leave a response. Pinging is currently not allowed. So do you think the seller should add that it is a sticker to his description? I wonder why he thought it was a prototype. The auction is still going high, but I wonder how many bidders are under the impression it is the real deal. Yes. The fact that he didn’t add that it was a sticker certainly makes me worry even more. The seller had me fooled; I’m sure most people are fooled. 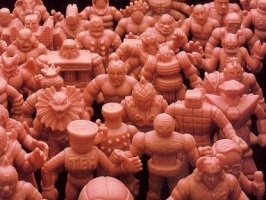 A simple Google search would turn up that the M.U.S.C.L.E. 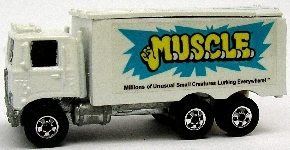 Hauler was never put into production. Chad, I completely agree with your simple Google search comment. The fact that the auction doesn’t mention anything about being a prototype or a custom was a red flag for me. Ok, say person doesn’t know what he/she has initially. I can buy that, but I can’t buy the person not doing a few minutes of Googling to find out. 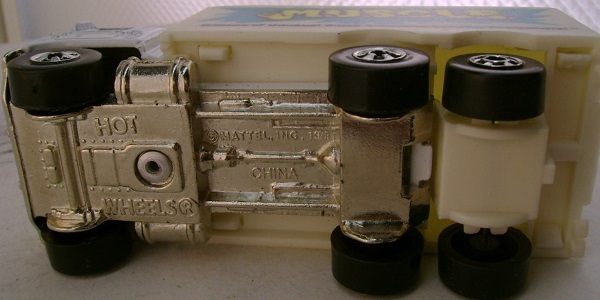 I’m seriously thinking the seller is initially trying to pass this off as legit, but doing so without saying anything. 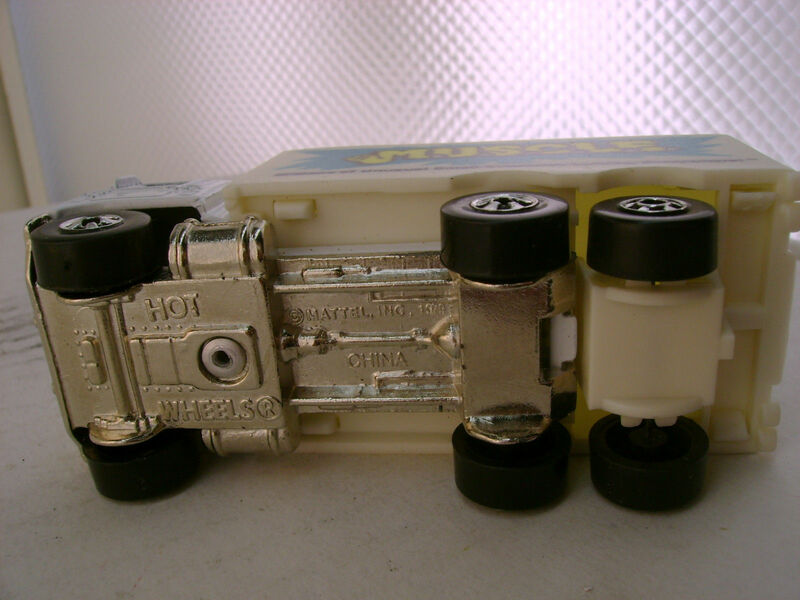 Seller would be able to argue his/her case with Ebay that it wasn’t advertised as a prototype. He doesn’t mention how he did his research. Who did he talk with? What site(s) did he use? He doesn’t provide screenshots of his communication with his/her research and/or other website resource.